You know how kids are always hungry…even though they just ate approximately 63 minutes ago. All of a sudden hunger pangs are overtaking them and they can’t do another thing until they’ve eaten again. This is the story of my life. And after suggesting bananas, cheese sticks and various crackers, we need something new and exciting every now and then. 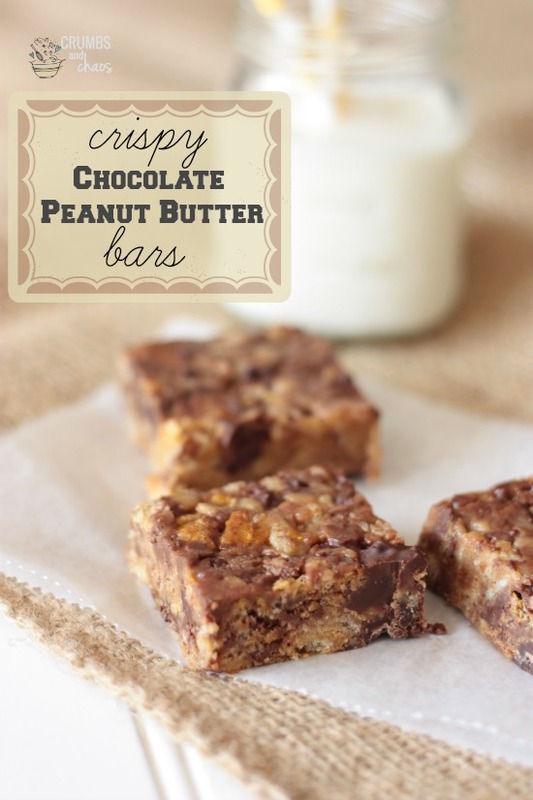 Well, here is this week’s snack attack answer…Crispy Chocolate Peanut Butter Bars. A fine way to get your chocolate peanut butter fix and use up the cereal that no one actually eats for breakfast. 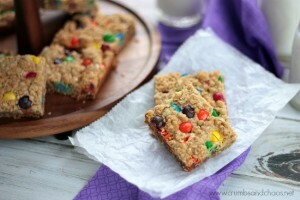 I think these would be fantastic with almost any kind of cereal you have in your pantry. I wanted them to chill quicker than the fridge, so I stuck them in the freezer for about 20 minutes so I could feed them to a few ravenous children. 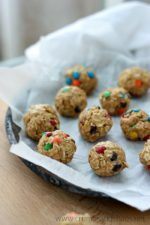 They store beautifully in the fridge and are the perfect combo of crispy and fudge-y peanut butter goodness. 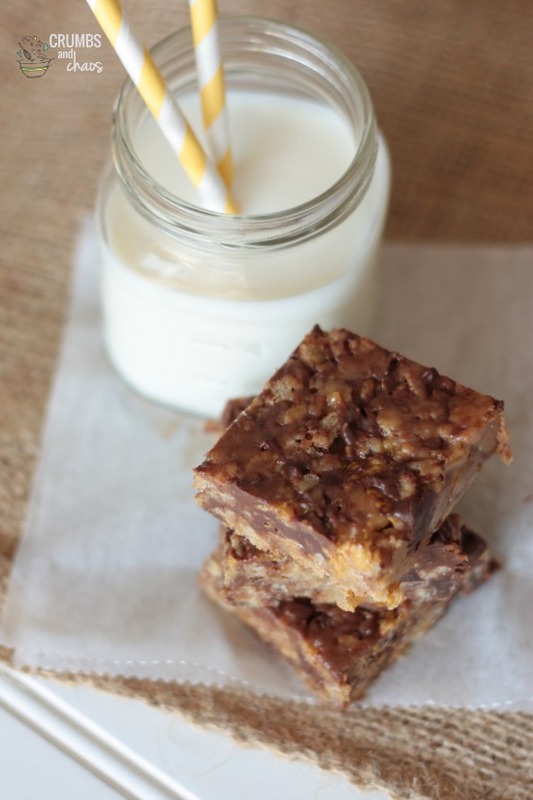 A kid pleasing treat and great after school snack - this no bake recipe for Crispy Chocolate Peanut Butter bars is sure to please. Line a 8x8 pan with foil, spray lightly with cooking spray. In a medium saucepan, combine corn syrup, brown sugar and salt. Bring to a full boil and remove from heat. Stir in peanut butter and mix well. Let cool for 5 minutes. Mix in vanilla and cereals. When it's almost combined, add in chocolate chips and finish stirring. Pour mixture into prepared pan and press down with the back of a greased spatula. Chill until firm, cut into squares. Wow, cornflakes? I HAVE to try that, what a great idea! And I know what you mean, I truly think my kids could eat every hour on the hour! Love these Becca! 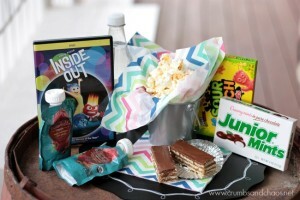 What a perfect afternoon snack! Love the combination of cornflakes and crispy rice cereal! 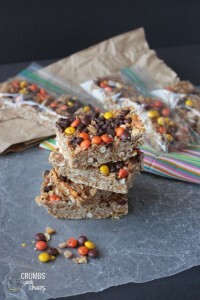 I love that these use both rice krispies and cornflakes – great idea! They look so yummy! 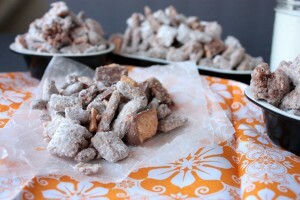 These look like the perfect treat. I know my kiddo would love ’em! Oh man, these look so good! 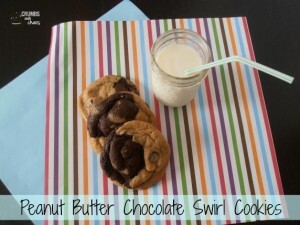 I love making treats with rice cereal, and the chocolate/peanut butter flavors sound so good in this!!! YUM!! !